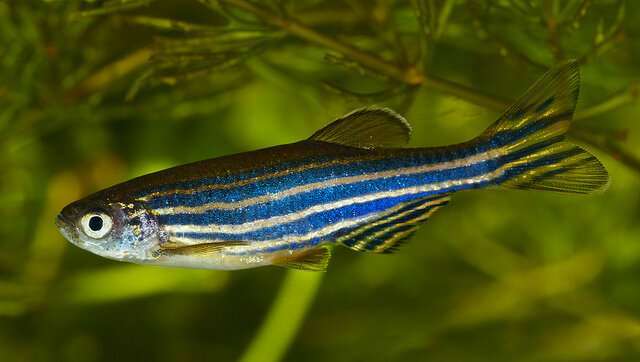 Scientists from the University of Bath have shown that the zebrafish is a useful model to study a molecule called Rnasel-1, a counterpart to human Angiogenin, a molecule linked to the neurodegenerative disease ALS (Amyotrophic lateral sclerosis). Zebrafish are already used to model ALS, also known as motor neurone disease (MND), because of similarities between zebrafish and human neurodevelopment. The research team from the Department of Biology & Biochemistry investigated whether Rnasel-1 from zebrafish acts in the same way to help regulate neuron and blood vessel development as its counterpart in people, human Angiogenin (hANG). In people, mutations in hANG are associated with ALS. The research team used chemical inhibitors of Rnasel-1 to block its activity and secretion in zebrafish embryos. The resulting fish showed slower growth and abnormalities of their spinal nerve cells, as well as blood vessel defects, showing that Rnasel-1 is most likely to be closely involved in these processes similar to hANG , making it a useful model to further study how hANG mutations are linked to ALS. Dr. Vasanta Subramanian, who led the study, said: "Our research suggests the zebrafish is useful as a model to dissect the molecular consequences of the hANG variants linked to ALS. "The more we understand about ALS and the complex interplay of all the various molecules we know to be involved, the better we will understand it and the more chance we have of developing therapies. Therefore being able to model the disease in zebrafish is a really important and useful way to push our scientific knowledge forwards."